Sadio Mane has revealed that the Liverpool squad always believe they can beat any side while playing in front of their own crowd at Anfield. The Reds return to action in the Premier League when they host Claude Puel’s Leicester City at Anfield this evening. Jurgen Klopp’s men have the opportunity to put some daylight between rivals Manchester City, who lost to Newcastle United on Tuesday, and themselves, if they can maintain their unbeaten record at home in the league so far this term. And ahead of their crucial meeting with the Foxes that could allow them to open up a seven-point lead at the top of the table, Mane revealed that Liverpool always believe they can beat any team in their own backyard. The Senegalese forward also admitted the team are well aware of the need to keep churning out results, but stressed that they have not allowed it to get to their heads. 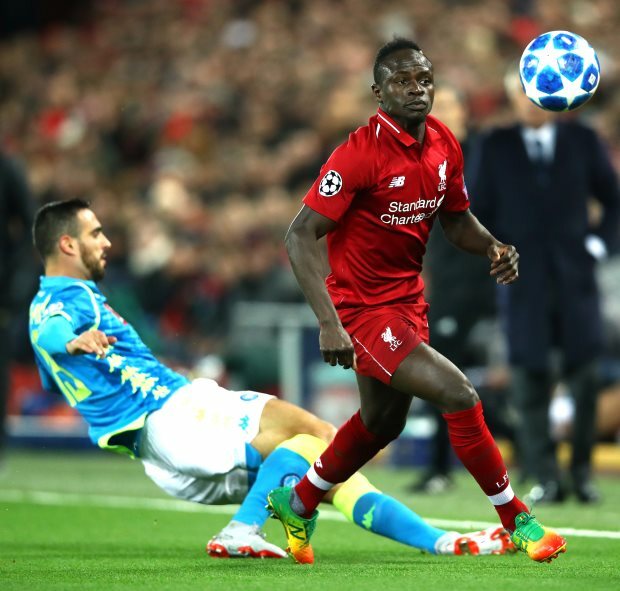 “If you play at home, especially at Anfield, we have in our head that no one is going to beat us, we’re going to beat all of them”, Mane told the club’s official website. “It’s what we try to do. "It’s very important for us; it’s out of our minds to lose at the moment even though it’s part of football, we know. “We know how to sacrifice yourself and do everything to win games. "But, to be honest, [the record] is not something in our head. Liverpool, who battled to a 4-3 win over Crystal Palace at home in their last outing, have yet to lose a single league game at Anfield since April 2017 in a run that stretches back 32 games.